There must have been a time when machinery was rarely seen in the Outer Hebrides. Now mechanisation is as common there now as elsewhere, but somehow the older tractors linger and become almost part of the landscape. 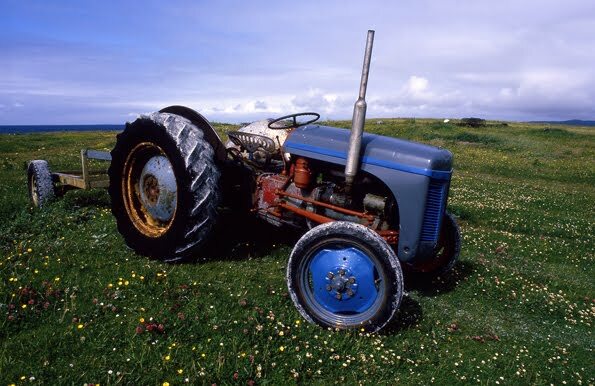 This Massey Ferguson tractor on the machair at Howmore just fits in – with style and colour. An earlier item on this blog shows how the village is home to a fleet of buses, some archaic and ready to be transported to a museum. So the village has more antiquities than just blackhouses and chapels.